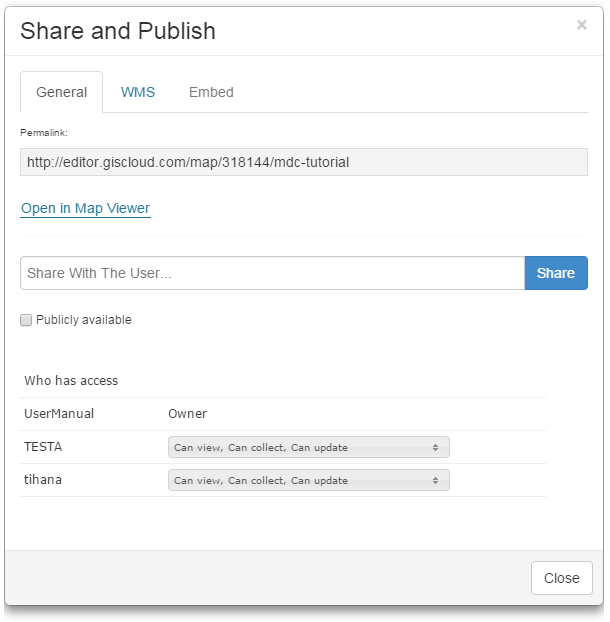 When sharing your Map or Project with other users in the field, you can set permission for each of them. By defining options for every user individually you can decide who will be able to collect, update or just view shared data. Collaborate with other GIS Cloud users from the Share or Publish panel in the Map tab and decide who will have access to data which you have created. First of all activate View permission which will allow the person in the field to see data. This is basic permission which does not give any privileges to other users besides viewing data. Of course, regardless of which additional privileges you may want to give to the users (Update and/or Collect) it is mandatory that they can see data. 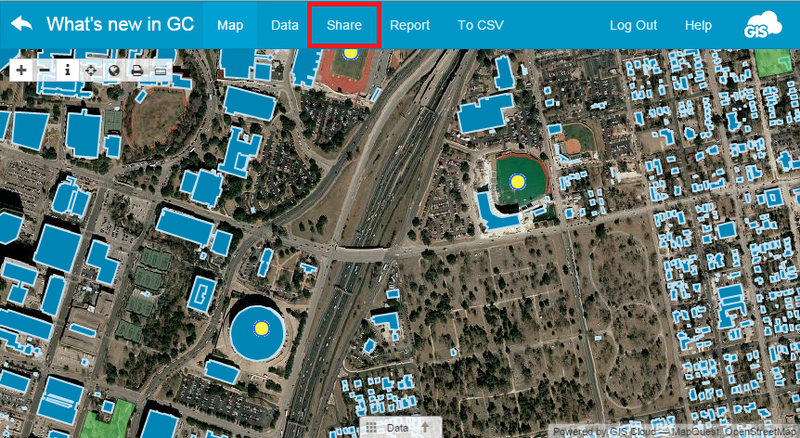 Collect permission allows other users to send new data from the field into your Map or Project. With only this permission other users will not be able to make any changes to the current data nor the ones they have sent. Update permission allows other users to make changes to existing data, but without possibility to collect and send new data into your Map or Project. With Update privileges, users will be able to change features geometry as well as its attribute data. 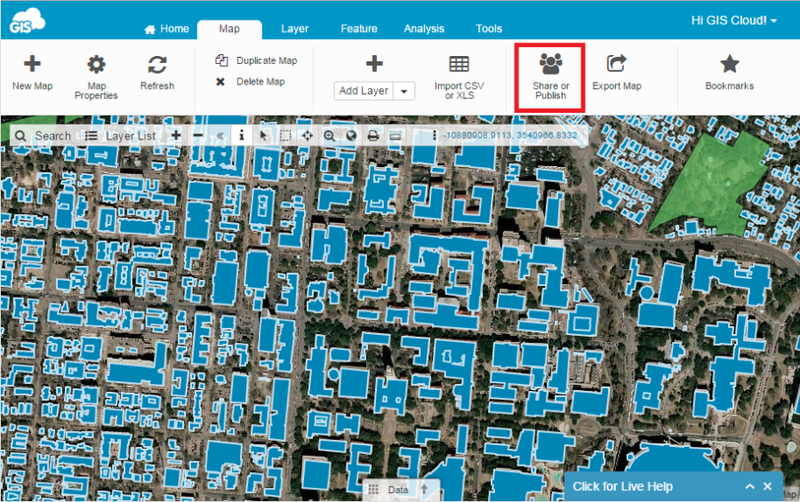 By enabling all permissions available for Mobile Data Collection, users can see, collect and update all data in the shared Map or Project. Open a map or project you want to share. 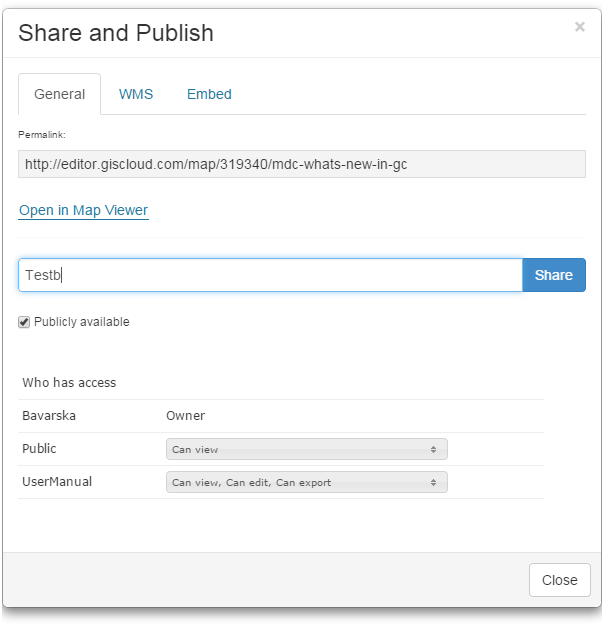 Open Map tab and click Share or Publish option. 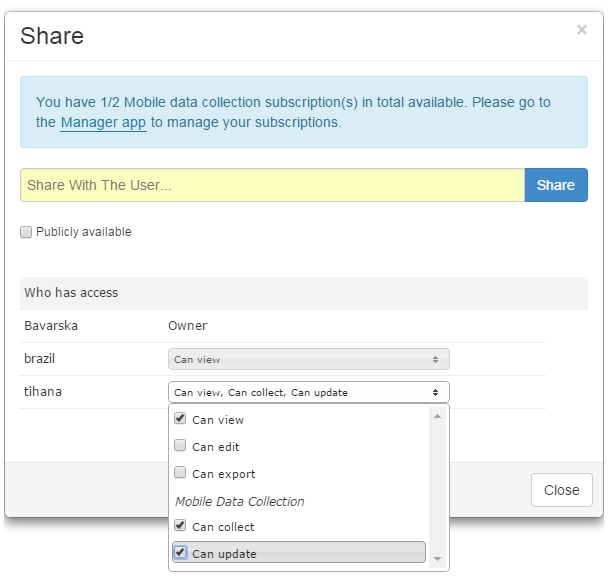 Set Sharing Permissions for each user. Note: if you get an alert “You have 0/0 Mobile data collection subscription(s) in total available” then please check that MDC licences are properly assigned in the Manager app. Here you can find info on how to assign MDC licenses. Open Mobile Data Collection Portal. Open project you want to share. Write username in the Share with the User box and click Share.